With so many folding bike brands to choose from, at My Bike Shop and My Bike Shop Too, we take great pride in ensuring that we only offer leading brands – offering great quality, comfort, safety, and innovation. As an authorised dealer for all of the Brands we offer, you know you are getting the best advice and service and support when you buy from us. We only offer genuine, quality components, and with ELEVEN folding bike brands to choose from, we make sure that you get the best product for your personal situation. Click here if you want a quick recommendation. Folding bikes today offer a myriad of wheel sizes, folding systems, and choices of colours to suit various cycling profiles and needs. Research is required and you can find this information from the web. At MBS, we pride ourselves in helping our customers decide on the best brand and model for them. 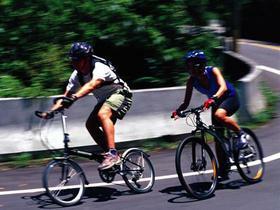 The first step in choosing your folding bicycle is to decide what type of riding you’ll be doing. How often and where you plan to ride. 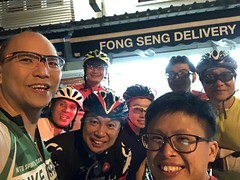 My Bike Shop has models to support recreational, commuting, urban riding, trekking, weekend leisure riding, touring … Is having a good ride more important than having the ability to push your folded bike? OR is that suspension worth the extra money if your ride is just at PCNs and pavements? Money spent on a good saddle might actually be a better investment. My Bike Shop has folding bikes with different wheel diameters: 14″, 16″, 20″, 22″, 24″, 26″, and 700c. Wheel size will affect the ride characteristics and portability of your bike. One very important aspect is the availability of inner tubes and tire replacement. Sure that 17 inch or 18 inch or 24 inch wheel size may look cool BUT if you cannot get hold of spares or replacements, you are going to pay lot more in downtime and costs to get spares. Also confirm that the rims used have the correct ETRTO numbers that fit available tires. Wrong fittings can mean your tire may come off while you are attempting sharp cornering. Any wheel too small (smaller than 14″) goes against sound bicycle geometry and this can mean the bike is unstable or tends to topple over. An important factor that affects the price considerably, consider what level of performance you’ll need from your components. The better the components, the better your bike will ride. And better components also mean improved durability and lighter weight but so will the cost! Do you need suspension? do you need 24 speeds? do you need Shimano Durace or SRAM Force? Remember – focus on NEED not WANT. Looks are important but do not sacrifice your ease of folding for that complex frame or folding mechanism that makes the whole folding bike idea redundant. Operating a bicycle needs ongoing maintenance, servicing and support! Derailuers need servicing from time to time, hubs and bottom brackets need greasing and damaged components will require experienced mechanics and proper tools to ensure that your bicycle is safe and serviceable to ride. Will your bike shop still be there for you? . You are not just buying a bike, you are buying a service too! We would always recommend buying from a registered dealer for the brand you are looking for – better, in the long run, to avoid buying a bike via Parallel Import, or from the Web or from overseas. Caveat Emptor – Buyer beware! Do your homework and check out websites and reviews. A reputable shop should have a good range of bicycles for you to trial for at least the popular models. The following section is intended to help those who plan to visit My Bike Shop outlets to buy a folding bike. We thought we would offer some pre-purchase considerations before you decide. We offer 10 great brands, a wide range of bikes to suit most needs and budgets. You should buy a product that is quality, fit for purpose and within your means. 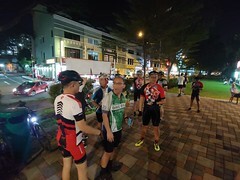 Service support is essential as bikes are mechanical machines and they are do require periodic tuning or adjustments because of regular wear and tear. We have skilled mechanics who are fully trained in all of the brands that we sell. Read our other link why a good experienced workshop and mechanic is a necessary consideration when buying a folding bike. The wide range of leading brands we sell is not arrived by chance but as a result of our careful selection, based on the quality of manufacture, safety features, ease of use, comfort, and innovation. And with more than 50 models to choose from, we recognise that the decision can be confusing – THAT’s why we have a wide number of demo bikes for you to try before you buy. When you come for a trial, dress light, wear flat soled shoes if possible. With an exchange of your photo ID, we will have you on a demo bike in moments. As always, please take care while testing and keep your eyes on the road in front of you. We see 3 large broad categories of folding bike enthusiasts: Commuter, Recreational and Avid, and we will try to help you narrow down the brand, popular models and known nuances about these bikes for you. Below are considerations you may wish to take into account and not meant to be total authoritative and comprehensive. 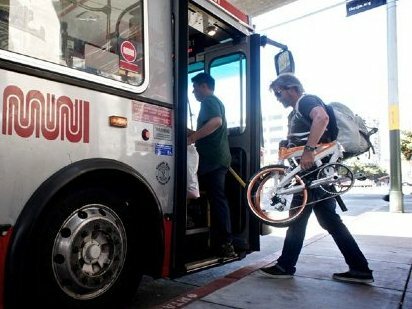 What is a commuter? Takes public transport, does not own a car, rides daily, needs to fit the SMRT/SBS folded size guidelines, need to have it stowed away at the office desk or closet, so needs to be compact. 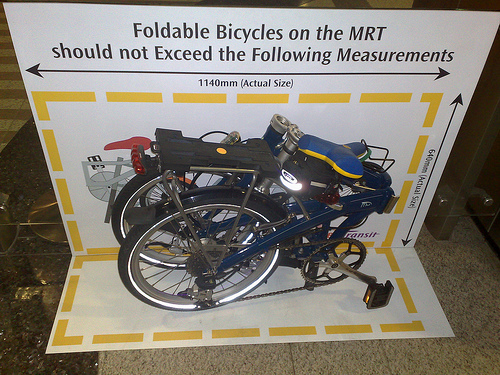 In Singapore, choose a folding bike that is lightweight (10 – 11.5kg) as anything above 12kg is going to weigh like a ton once you start carrying up/down stairs. A standard packet of rice is about 5kg, imagine carrying 2 packs plus 2 kg more with you everywhere you go. A reliable, fast folding/unfolding mechanism is key. Recreational: Price tag from S$5XX to S$27XX. Who is a recreational rider? The weekend rider hangs out with spouse, partner, friends, family members, and cycle types, wants to get fit again but only on weekends. Opt for at least 6-9 speeds in either 20 inch or 26 inch wheels. There are many competent folding bike brands/models in this category (Vybe, Route, Speed, Vitesse, Mu, Link, Joe, Verge, Link). Look at the weight and the folding method, even if you have a car, petrol is expensive and carrying around a lot of weight will use up more fuel. Price tags are proportional to the quality of build and components used. With thicker tires, you can take on Ubin and some tracks, but in this case, you may need suspension – allowing you to enjoy “off-road” riding with less impact on your body. These bikes have rims that are stronger (if you select a lower end bike for this category the rims may degrade faster). 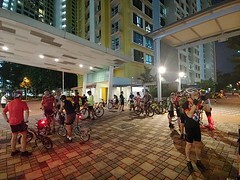 Next comes the top of the line models (S$24XX )for Recreational cyclists – with looks to kill. They are light, fast, bike eye candy and ideal if you want to pamper yourself with a nice recreational bike. These are designed for the road rides as the fewer spokes, faster tires and lighter materials generally make the go fast. Known Complaints: Very few but if any would be spokes breakage, run out of gears when riding with strong riders and a high degree of tuning required. Up to 11 speeds, they can run out of gears unless they have the latest improvements that offer a very wide range. 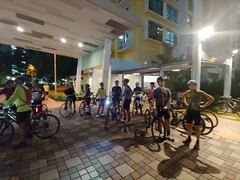 Who are the Avid foldie cyclists? 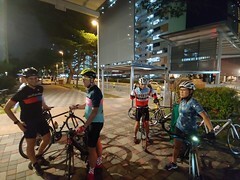 The frequent cyclist has the stamina and fit legs and willing to pay for what they want. Thoroughly researches folding brands, bikes, parts, and will zhng (modify) their bike and rides fast and well. Choose brands that start at 18 speeds, do not settle for less. Don’t forget about warranty and local support. Unless otherwise stated, the folding brands we carry have a 2 year warranty on frame and folding joints (Tern, Bickerton and Dahon offer 5 years while Bike Friday offer lifetime), so ask. We are here Monday to Saturday, 12 noon to 730pm (closed on Sundays and Public Holidays). Please come in and see what we have to offer. Nothing beats spending some time to try, discuss and understand your choices before you buy. Come by and visit us. A folding bike that suits your lifestyle awaits you! How much it cost? And stock is ready? Hi there, the 1406 is S$350. We have ready stock. Please email your address so that we can get a quote but experience suggests that it will be too costly to ship. Ok. How much is the Tern Joe P27? Can the saddle be changed for a more comfortable saddle? And how much would the maintenance cost be per month for a normal situation? Joe P27 goes for S$1350. The saddle supplied is very good. 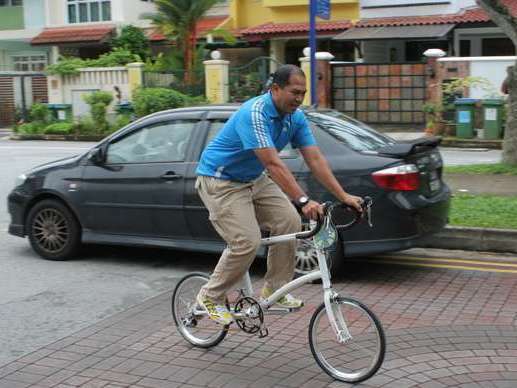 I am looking for a foldable Mountain bike that can be transported via MRT or bus that has strong resistance to rust. I intend to use it for light usage ( exercise/short trip ). Budget is between $300 – $500. Preferably the bike’s wheels size is easily available and replaceable. Also, how do I become a member of MBS or BRUcare? How much is a maintenance/repair cost normally? Ok. Ignore the budget. what bikes have the features I listed and what are the prices. Ok, is there any 20-inch wheels foldable that has the top tube closer to the saddle, coz I might want to add a bag to the tube or place my phone on it.